Carmen’s research expertise in schooling and student culture was inspired from her extensive teaching experiences in different higher education institutions in Hong Kong. 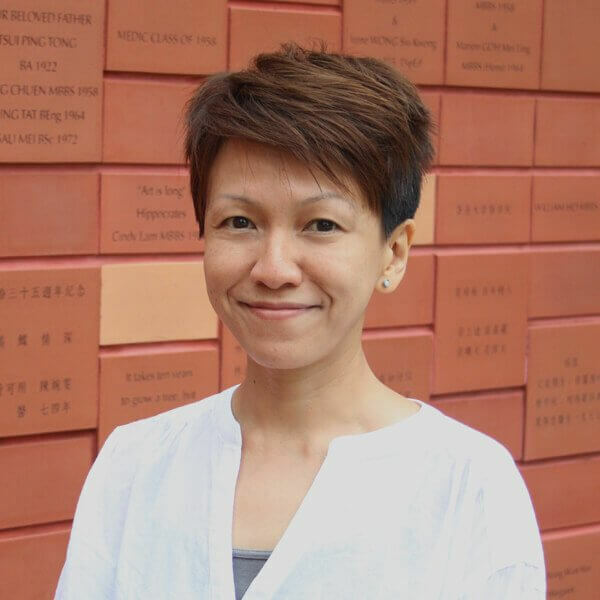 Her ethnographic studies explore Hong Kong students’ sexual identities, life visions, and the dynamics of adaptation tactics in the competitive schooling environment. Carmen is currently intrigued by the rapidly growing field of human-animal studies and their potential contribution to sociological inquiries. ‘Green a Difference – Reduction of Animal Consumption in Hong Kong.” Funded by Knowledge Exchange Fund (KE-IP-2017/18-66). Project Date: 01/08/2017 – 30/06/2018. Tong, C. 2017. “A Chronology of Hong Kong’s Umbrella Movement: January 2013 – December 2014”, Education Philosophy and Theory. 6 April 2017. Tong, C.K.M. 2008. ‘Being a Young Tomboy in Hong Kong – The Life and Identity Construction of Lesbian Schoolgirls’, in Fran Martin et al. ed. AsiaPacifiQueer: Rethinking Genders and Sexualities. Urbana: University of Illinois Press. pp.117-130.